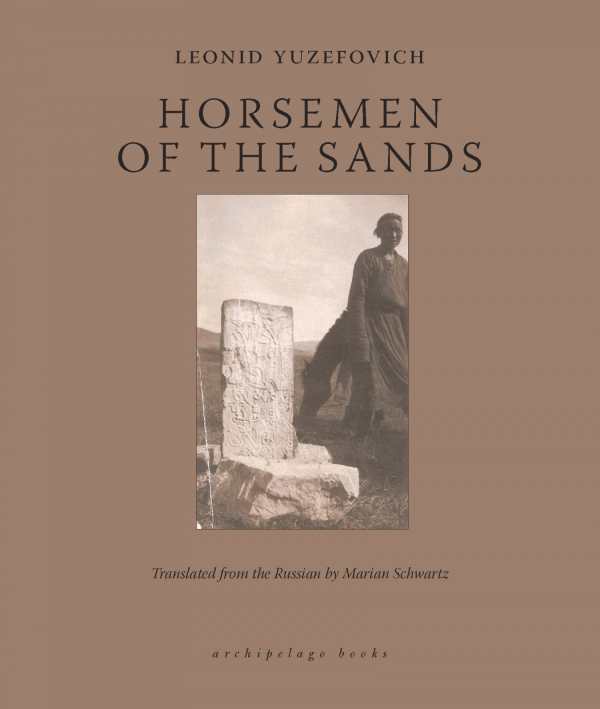 History and human drama collide in Leonid Yuzefovich’s Horsemen of the Sands, a wonderful tangle of relationships, religions, and realism. The volume consists of two novellas—“The Storm,” set in a Russian elementary school and “Horsemen of the Sands,” following the adventures of R. F. Ungern-Shtemberg, conqueror of Mongolia during the Russian Civil War. In “The Storm,” a crisis startles the students and faculty of a normal elementary school. Within the novella’s limited space, connections between the characters are teased but not explicitly explored, yet the resulting emotional narrative is satisfying. Nadezhda Stepanovna, the kindly teacher, and physicist Vladimir Lvovich have had a casual office affair. Dimitry Rodygin visits Nadezhda’s class to teach them about traffic safety. Vekshina is the top student in her class but has a tumultuous family life. The various threads of these lives weave together, revealing the remarkable patterns to be found in even the most mundane of bonds. On a much larger stage, “Horsemen of the Sands” chronicles the campaign of Ungern across Mongolia and his fascination with Buddhism. Using the mysterious powers of an amulet that protects him from death, Ungern asserts his dominance over the region, heedless of the lives he uses to accomplish his goals. The prose adroitly bears both an ethereal and a concrete quality. The harsh grittiness of the campaign mingles with the shadows of Buddhist folklore which may or may not be real. A parallel narrative details what becomes of the amulet as it passes through the years, eventually culminating in a fascinating meditation on trickery and the power of suggestion. Using two vastly different settings, Horsemen of the Sands combines narratives rife with loss and disillusionment.